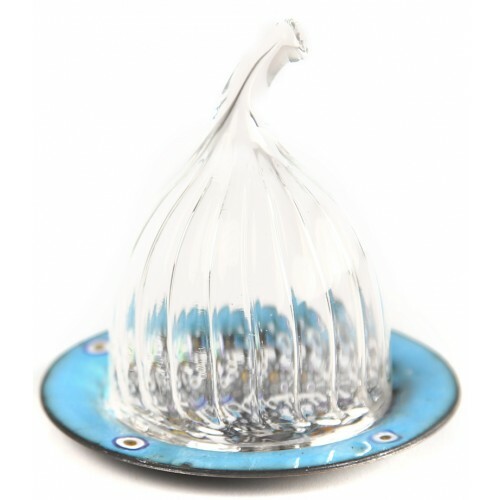 Blue Evil Eye Enamel and Glass Cover Turkish Delight Plate designed by Rozita Kasuto. 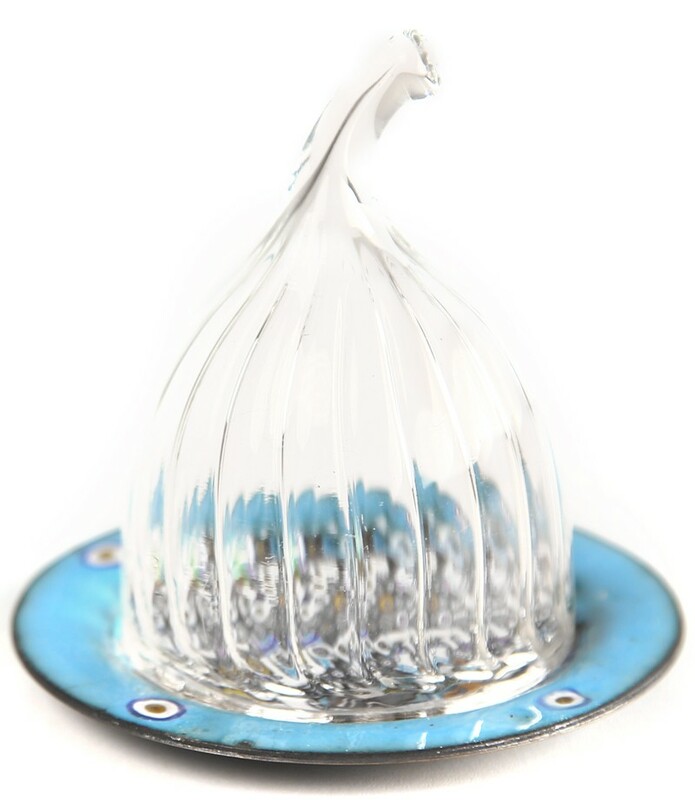 This enamel Turkish Delight Plate is the most preferred piece of her unique enamel collection. Rozita Kasuto graduated from fine arts academy interıor design in 1987, worked as an interior designer untill 2013. Attended workshops in glassfurnace for metal shaping and enamelling for four years. Currently proceeds with metal and enamel work in her own studio. Enamel is a mixture of glass powder and some metal oxides such as lead, cobalt and cadmium. After applying over the copper (or fine silver and gold) it is fired in the kiln at 1350 fahrenheit degrees between 800-850 degrees centigrade. Basse-taille, Champlevé, Cloisonné, Plique-a-Jour, Stenciling. Sgrafitto, Raku is some of the tecnics enameling. İn the history of enameling on metal which is date back to the third and fourth millennia B.C.E. and attributed to the ancient egyptians and mesopotamıans. İn this century enameling one of the contemporary art in the world.